Many people grow flowers during the spring and summer, but overlook how much of a nice touch they add during the fall months. 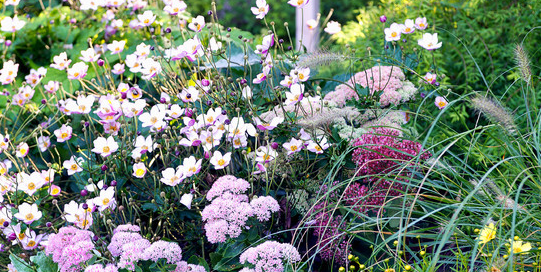 There are several varieties that are very hardy in the fall that bloom in a variety of colors. One thing to keep in mind is that beautiful flowers help make a house look more welcoming to potential buyers. You will probably have very little maintenance to cope with if hardier types are planted. Frost-proof gardenias and Yuletide camellia are some good choices. People who are looking at homes will pay a lot of attention to the front door and porch areas. One thing that makes a major difference is putting up a wreath that features flowers in fall colors, or perhaps fall leaves. Although Halloween decorations are eye-catching, more subtle fall decorations help emphasize your front entry area’s good points more effectively. Wreaths, garlands featuring flowers in fall colors, or soft outdoor lights are preferable to a lot of items on the porch. Many homes in Charleston feature spacious porches and too much decor may make them look too small. Make sure your home actually gives potential buyers a reason to stop and look. Many people find their ideal home after driving by a house for sale and noticing the sign. You don’t want a buyer put off because they are concerned about having to repaint the exterior or replace siding right away. This is especially true if you have an older home. Remember that older homes are in very high demand here and buyers will pay a lot for them. 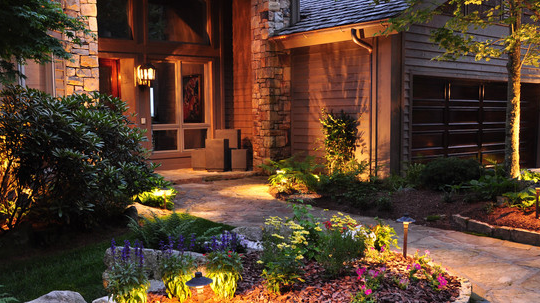 The right type of lighting gives your home a more inviting appearance. It is also more appealing to possible buyers who work late hours and may be returning home in the dark. Make sure your existing porch lights are in good shape and consider making improvements. Lights that are styled after old-fashioned carriage lamps make a nice impression and fit in with the city’s historic character.